The Vietnam Maritime Administration has proposed a project to upgrade the Cai Mep – Thi Vai shipping route at a cost of VND6.4 trillion (US$284.95 million). Funding is expected to come from the State budget and other resources. The route, along the Cai Mep-Thi Vai River, which travels 49km from southern Ba Ria - Vung Tau Province to Dong Nai Province, is expected to be upgraded to receive ships weighing up to 100,000 deadweight tonnage (DWT) en route to ports on the Cai Mep – Thi Vai River, 60,000DWT to ports in My Xuan – Phuoc An and 30,000DWT to ports in Go Dau. If the project is approved by the Ministry of Transport, the work on the upgrade will kick off by 2018. According to the plan to develop Vietnamese sea ports by 2020 with an outlook up to 2030, the Cai Mep – Thi Vai sea port will play a key role in the country's port system. 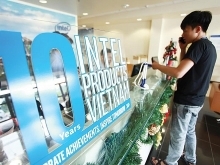 As part of the same plan, mostly international ports will be built in Ba Ria - Vung Tau and certain other areas. 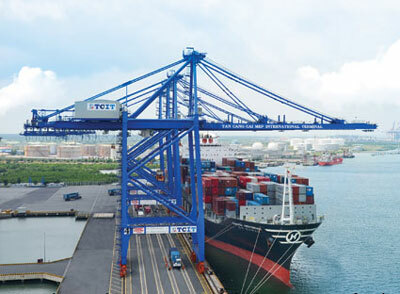 The Cai Mep – Thi Vai Port achieved average growth of 10.9 per cent in goods flow during the 2008-14 period, higher than the 6.29 per cent growth at HCM City's sea port. Moreover, the average growth in container flow in this port was 49.99 per cent, much higher than the 10.9 per cent growth at HCM City Port./.